Perhaps I should tone down my praise for Sebastian Weigle’s Wagner. My review of the Walküre in this cycle was so effusive that an extended quote from it ended up as the basis of his Wikipedia entry. But I stand by my words, and they are just as applicable to this magnificent Götterdämmerung. I fear the recording won’t get the praise, nor the wide audience, it deserves, because the cast is low on big names. But the singing here never falls below the admirable, and is often very fine indeed. And, as with the previous instalments in this cycle, it is the sound engineering and the conducting that make this recording special: It gets the highest recommendation from me on both counts. Peter Tobiasch, the head of the in-house recording team at Frankfurt Opera, has written a perceptive liner essay for this release. Sadly, he doesn’t discuss his own part in the project (something I would also love to read about) but instead writes a personal tribute to Weigle’s conducting of the cycle. He states that Weigle’s reading “is neither particularly fast nor monumentally expansive”. Instead, Tobiasch suggests, the conductor aims for a more narrative approach to the music by emphasising the rhythms over the leitmotifs, and the flow of the music over the drama of the individual moments. Weigle’s tempos are patient, but never slow. He has a direct connection with the music’s inner sense of drama, but he knows that Wagner doesn’t need any help from the podium to get this across. His reading is detailed and precise, but it’s also lively and sensitive. It probably won’t be to everybody’s taste, but it is the exact opposite of Solti’s maniacally-driven approach, which I understand many Wagner fans have been turning away from in recent years. Weigle’s Ring is much closer in conception to Haitink’s with the BRSO. I’d suggest it is better though. Both conductors opt for steady pacing, and there are moments in both cycles where the music comes close to running out of momentum. But in each of these episodes, Weigle turns the situation to his advantage by bringing out inner lines and counterpoints from the orchestra, and showing us that the music contains more than enough interest to do without the overt histrionics. So, for example, with the transition into the second scene in Act II, in which a bass clarinet solo leads into a series of horn calls. Weigle makes everything here sound majestic, but dark too and, as with almost everything in this recording, emotionally complex and paradoxical. Similarly with the opening of Act III, where Weigle again emphasises clarity in the orchestral textures, but with the counterintuitive result that the music is all the more atmospheric and unsettling as a result. 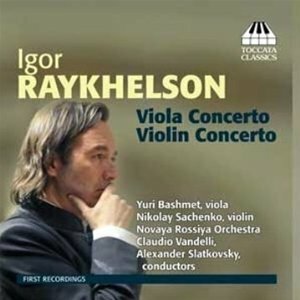 The one let down among the orchestral interludes is the Funeral Music, which needs a bit more bite, but Weigle redeems the third act with an Immolation Scene that is among the best on record, at least in terms of the pacing, atmosphere and the sense of compromised but definite finality. 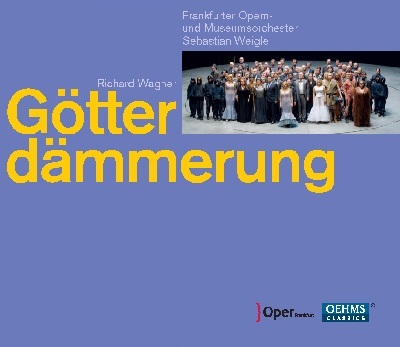 If you are looking for a Götterdämmerung with exceptionally and consistently fine singing, you should probably look elsewhere (although among recent recordings it is hard to think of a version better sung than this-Thielemann’s Bayreuth recording perhaps?) Every singer here is equal to the task, but most of the leads have minor flaws. Lance Ryan is a convincing Siegfried, but his voice isn’t commanding enough to lead the cast. He also has some tuning problems in the first act, although these are addressed later on. Considering the engagements that Susan Bullock gets to sing Brünnhilde in the most prestigious houses around the world, public opinion of her reading must be higher than mine. I find her upper register narrow and penetrating in a way that does the music no favours. That said, the sheer quantity of emotion that she brings to the role is admirable and rare, and the range of colours she can employ in the mid register allows her to move from an almost speaking tone to the most flamboyant of coloratura as the drama demands. Gregory Frank is an appropriately sinister Hagen, with an eerily dark tone. He does occasionally have problems though, with his vocal support towards the ends of phrases. Jochen Scheckenbecher articulates clearly as Alberich, although his tone is a bit light for the part. One of the most interesting casting choices is Johannes Martin Kränzle as Gunther. British listeners will remember his Beckmesser at Glyndebourne, a fine performance both vocally and dramatically. There, as here, he sings with a distinctive and noble tone. That’s ideal for Beckmesser, as it forms part of the pompous personality that Wagner spends so much of the last act deflating. Here it makes Gunther sound all the more human, an attribute that can be all too easily sidelined in this magical context. This is a great performance from Kränzle, and, as with Glyndebourne’s Meistersinger, he comes out on top vocally, although perhaps this time without stealing the show. The sound engineering is excellent throughout. It is difficult to know if Weigle or Tobiasch is to be credited with the ideal balance between stage and pit, and the absolute clarity of the orchestral textures. The answer, I suspect, is that the two men complement each other’s work perfectly. So, for example, when Weigle conducts a descending accelerando run in the lower strings, but ensures that, even to the final note, every single articulation is heard, both the patient detailing from the conductor, and the high quality audio play a part. The orchestra generally justifies the scrutiny that this superior audio subjects it to. My only complaint about the playing is the bass/contrabass trombone player, who has a penetrating, raspy tone. Occasionally in this cycle, that sound has endeared, like in the Entry of the Gods into Valhalla, where the penetrating bass line from the contrabass trombone served to ground the otherwise top-heavy textures. But by the end of the cycle, this piecing tone can be wearing, and it is a shame that Wiegle was not able to reign the player in. But these are minor concerns, and the overall impression that this Götterdämmerung gives is of a distinctive, coherent and modern reading. Oehms and the Frankfurt team are to be commended for their continued commitment to recording operas on the stage. 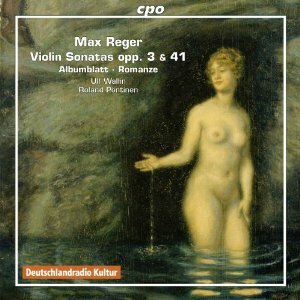 These days, most Wagner on CD is taken from concert performances, and while the audio is often good, the best such a project can hope for is to recreate the concert hall setting. But this recording is very clearly of a staged production, with the drama coming through in the pacing, the interaction between the singers, and in their always apparent placement in the stereo array. This makes for a satisfying and absorbing experience, and for one of the most convincing Götterdämmerungs of recent years.